In addition to a Gallery providing a comprehensive and varied collection of original Landscapes, Portraits, and Miniatures by the award winning artist Katy Kianush, Art Arena brings together two of Iran's well known and established literary figures, Mahmud Kianush and Pari Mansouri, to give an insight into modern Persian poetry and prose. 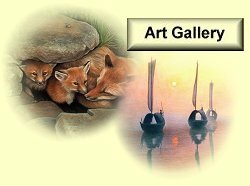 Iranian born Painter of Portraits, Landscapes and Miniatures. Katy's works include Persian, Japanese and Chinese paintings, and portraits and landscapes from around the world. She also designs Greeting Cards for special occasions. Katy's paintings can be purchased on-line in the gallery. Iranian poet, writer, literary critic, and translator. Mahmud has published several books of poetry, short stories and novels, and he is regarded as the founder of Children's Poetry in Iran. One of his latest works in English and published in the UK is an anthology of Modern Persian Poetry. As well as her own short stories and novel, Pari has translated and published several books by such writers as André Maurois, E. Nesbit, Jules Verne, George Eliot and Ivan Turgenev. Samples of her short stories can be found in the Writer's Corner section. "Quote of the Month ..."
and the right kind of day is jewelled balm for the battered spirit. with the belief that all's right with the world." Thanks for showing interest in Art Arena. Please call again, there's almost certainly going to be something new ! 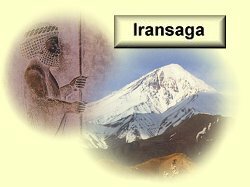 Art Arena -"Original Paintings, Persian Culture, Poetry and Prose"